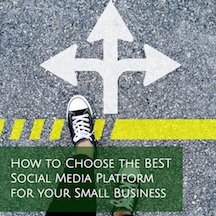 Developing a strategy for your small business’ Instagram account used to be far more straight forward: Take decent (or better) photos and videos, research your hashtags, post consistently, and engage with others on the platform. And suddenly, your original Instagram strategy feels really, really inadequate. First, let me ease your worries and share that if you stick with the standard approach to your Instagram marketing, you can still be successful. Don’t let all these additional Instagram features overwhelm you or discourage you from doing what you’ve always done on the platform before these features were ever invented. Make sure to focus on creating as good of media content as you can (remember, a smartphone with good lighting and smart photo composition structure (like the Rule of 3rds!) is all you need! ), stay consistent with your posting schedule and engagement, and always research your hashtags, and you can grow. In fact, this is the Instagram strategy approach we’ve taken with one of our Instagram clients, and she’s been happy with her inbound leads it’s generating. Also, if you want to up-level your standard Instagram strategy approach, you can easily share others’ Instagram Stories that you are tagged in, to your Story (one brand we manage manufactures a consumer-based product and is frequently tagged in customer Stories). You also could make a point to create images or photos to build 2 or 3 specific Highlights, in order to have those Highlights displayed on your profile when an Instagram user visits it. You wouldn’t need to make Instagram Highlights a regular part of your Instagram strategy, but just create what you need in order to be able to showcase your business and what you sell through Highlights in your profile. If you are committed to producing the quantity of photo, image, and video content needed to implement all of Instagram’s current feature list, then the IG sky is the limit! You’ll likely want to find a graphic design program that offers easy image resizing for the Instagram feed and Stories, plus templates to build beautiful Highlights for your Instagram account. You’ll also need to have a more involved set of processes to ensure you make the most of every photo, image, and video produced by you. Many of these Instagram features are interconnected. You can place a clickable link in each IGTV video’s description, so plan where you are going to send people. Perhaps you’ll publish an IGTV video for every new blog post you write? And all of this is in addition to your regular photo, image, and video postings to your Instagram feed. The bottom line is this: If Instagram isn’t your sole or primary social media platform, it can still be worth your while even if you don’t have the time, staff or creativity to execute on the Advanced strategy. And if Instagram is your most favored platform, these additional features are great news for you because you can do even more with it to continue to grow your business. 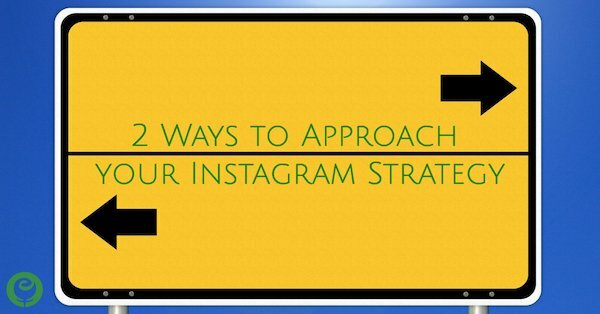 What is your current Instagram strategy? Are you happy with the standard approach, going “all out”, or are you somewhere in between?